If you’re reading this, chances are you’ve considered dieting before…you’ve probably tried a few. Perhaps you lost a few pounds (did you gain it back? ), or quit because you found it too difficult, maybe it was just too expensive to continue. Whatever your dieting history is, it’s in the past…and starting today you can stop letting your past dictate your future, because the Ideal Protein Weight Loss Protocol offers dieters what they really want…a focused plan that can put an end to constant dieting. Phases 3 & 4 concentrates on increasing your knowledge of balanced lifestyle choices and smarter eating habits so you are better able to sustain a stable, balanced weight after dieting. Anyone can lose weight…learning how you can maintain a stable weight should be your ultimate goal. Click here and find out how the Ideal Protein Weight Loss Protocol will help you achieve your weight loss goals. 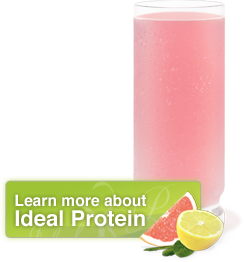 Ideal Choice Weight Loss Centre is Authorized to Use the Ideal Protein Weight Loss Protocol and Products. The testimonials on this website are those of the individual that is identified, you should not necessarily expect to receive these results. Typical results vary from person to person and individual to individual when the Ideal Protein Weight Loss Protocol is followed properly. You should consult your physician or other health care professional before starting this or any other diet program to determine if it is right for your needs.